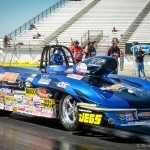 Luke Bogacki recently wrapped up the 2014 NHRA Super Gas World Championship behind the wheel of his 2012 Charlie Stewart Race Cars 63 Corvette roadster, or Corvettester as Luke termed it. 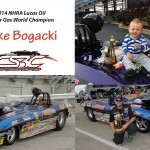 This marks back-to-back Lucas Oil Championships for Bogacki, as he won the Super Comp title last year. 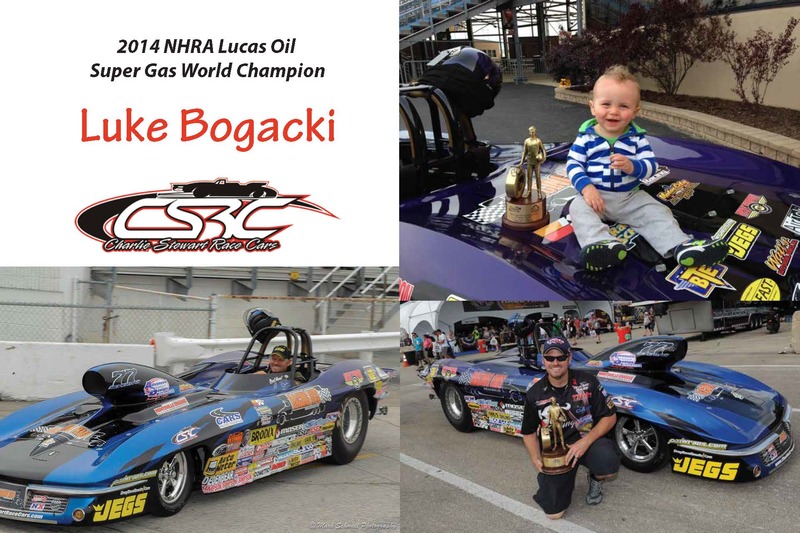 We at CSRC couldn’t be more proud of Luke for this major accomplishment, and are glad Luke chose our chassis to do it in. 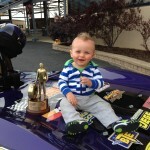 We congratulate him, Jessica, little Gary, and the rest of his family on this accomplishment. As any racer knows, success at any level of our sport is a family effort, and takes dedication and sacrifice along the way. There are several Super Gas chassis builders on the market, and we feel privileged that Luke saw the potential in our cars and decided to go with us. It’s been a pleasure working with him, and we hope that our business partnership continues far into the future. 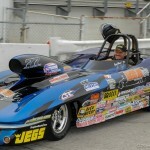 We couldn’t ask for a more professional, hard-working individual to represent our product at tracks across the country. Feel free to stop by and see us at the PRI show this December 11-13 at the Indiana Convention Center, booth 3171.